Price Clip is an advertisement-supported program that should help you make some savings on the online purchases that you make. Unfortunately, it is highly unlikely that this program will help you clip the prices noticeably, in which case, the disadvantages of this program are likely to outweigh the alleged advantages. We advise removing Price Clip, not only because it does not work beneficially, but because it can make your virtual security extremely vulnerable. Do you know how to delete this adware? 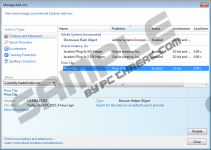 The infamous Injekt engine has been used for the development of Digital More, Browse Pulse, Web Shield, Positive Finds, and many suspicious advertisement-supported programs that require removal. Price Clip has been created using this engine as well, which is why it immediately caught the attention of our malware researchers. The ad-supported programs created on this engine usually work hand in hand with unreliable parties and display misleading ads. Needless to say, this kind of software, including Price Clip, deserves removal. Have you encountered ads, pop-ups, and shopping offers by Price Clip already? Have you found any of them to be authentic and useful? It is possible that some offers will be reliable, but you cannot expect all of them to be reliable and beneficial. On the contrary, if you don’t delete Price Clip, this adware could present fake installers, surveys controlled by schemers, and generally useless ads only used for boosting traffic. These are the kinds of offers you need to stay away from, because they could jeopardize your security. Not many computer users download Price Clip from priceclip.net. 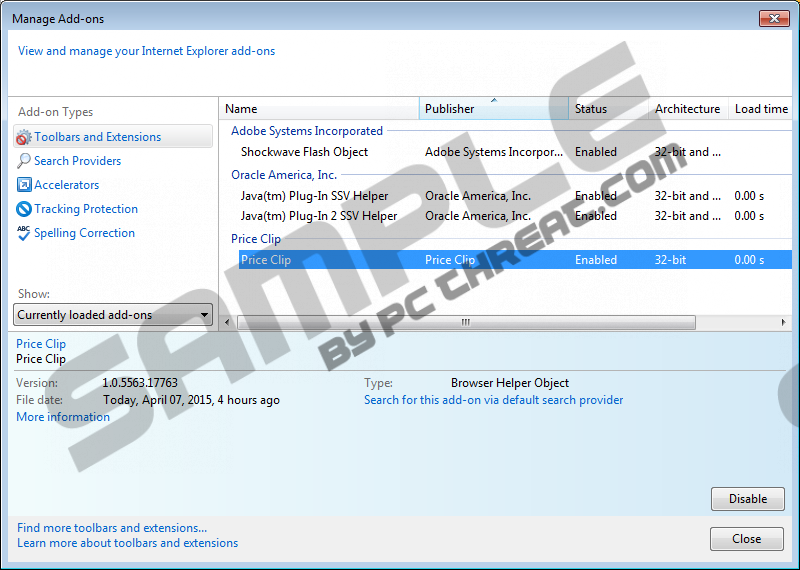 It is more common to encounter this ad-supported program bundled with third-party software. We cannot say if this software is unreliable and requires removal, because different programs could be bundled with Price Clip by different installers. Chances are that you will, in fact, need to remove Price Clip-related programs, but only a legitimate malware scanner can guarantee this. You can install a free malware scanner by clicking the Download button below. You should not ignore programs that might be unreliable, and Price Clip is. Even if there are some benefits to using this suspicious program, we still recommend removing Price Clip. As mentioned before, a malware scanner promoted via this page can be very handy when it comes to detecting malware. Fortunately, you can also upgrade this tool to work as a full-time security guardian, as well as a diverse automatic malware remover, which not only deletes Price Clip and similar adware but all kinds of other threats as well. Go to Uninstall a program to find the available uninstallers. Go to Uninstall a program (under Programs) to find the available uninstallers. Quick & tested solution for Price Clip removal.